This week in Asia, oil markets are expected to keep a close watch on prices after the ICE Brent crude oil futures fell below the $60/b mark. Oil prices are also expected to be a hot topic at the upcoming G20 Summit in Argentina. On the sidelines of the summit, Chinese President Xi Jinping and US President Donald Trump are expected to meet, and market participants will keep an eye on signals of from both countries that could lead to a truce. The US-China trade war has restructured many key commodity trade flows, including agriculture products, petroleum, LNG, coal and petrochemicals. Meanwhile, the decline in oil prices could force some Asian refiners to sell oil products below input costs. Similarly, in the petrochemical market, aromatics have been on a downtrend, tracking the fall in crude prices, weak buying interest and ample supply. A price downtrend is also gripping the LNG and thermal coal markets. Regina Sher has the details on this week's Platts Market Movers. 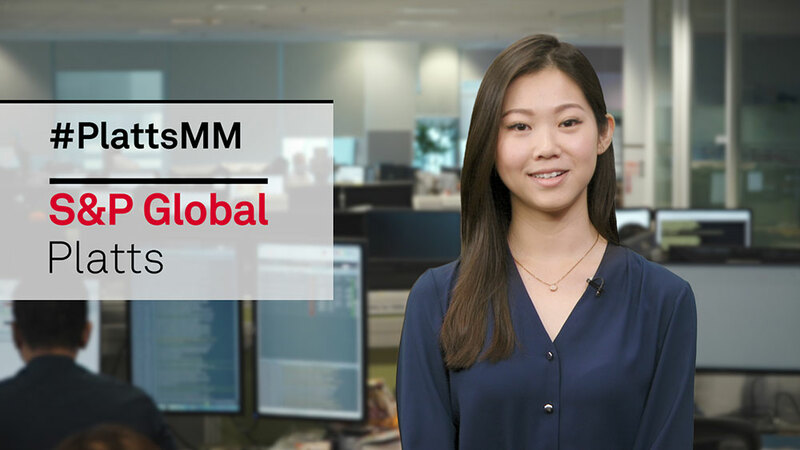 This week: US and China leaders are expected to meet, aromatics track falling crude oil prices, and LNG spot market remains bearish. But first, oil markets will keep a close watch on prices after the ICE Brent crude oil futures fell below the 60 dollar per barrel mark Friday amid expectations of oversupply and talks about whether OPEC and Russia can bring output levels down fast enough in the months ahead. Oil prices are also expected to be a hot topic at the upcoming G20 Summit in Argentina. And on the sidelines of the summit, Chinese President Xi Jinping will meet US President Donald Trump, and market participants expect a trade talk between the leaders. The US-China trade war, which has restructured many key commodity trade flows, including agriculture products, petroleum, LNG, coal and petrochemicals. So for our social media question this week: Will the trade tensions between the US and China ease after the meeting? Still on the US-China trade relations, the US might have fallen out of China's top 10 crude suppliers' list on relatively lower level of inflows with uncertainties brought about by the trade war. China's detailed trade data is expected to be released this week after the General Administration of Customs said total crude oil import volumes hit a record high of 9.65 million barrels per day in October. Iran imports were expected to show a recovery from September levels amid efforts to build stocks at a time when there was no clarity on whether Beijing would secure a waiver from Washington. Also in oil, the decline in oil prices could force some Asian refiners to sell oil products below input costs. Asian light distillate benchmark prices have fallen below the 65 dollars per barrel mark recently, with the benchmark FOB Singapore 92 RON physical gasoline price hitting a year low of 64 dollars and 98 cents per barrel on November 22. Similarly in the petrochemical market, aromatics have been on a downtrend, tracking the fall in crude prices, weak buying interest and ample supply. The styrene-benzene spread hit a 17-month low on Friday as sentiment remains bearish. Sellers have been lowering offer levels on the build in benzene and styrene inventories that are expected to continue rising. Moving on to LNG, the downtrend in Asian spot prices is likely to persist on weak winter fundamentals. With weak buying interest among end users and rising inventories, storage tanks are full and more supply is being released into the spot market. And finally in thermal coal, spot prices for Australian cargoes delivered to the north-east Asian markets hit their lowest since June 2017. Market participants expect Asian seaborne coal prices to continue moving lower as the Chinese government has restricted imports for the rest of the year. Domestic prices in China are also expected to remain suppressed on weak demand and ample supply.